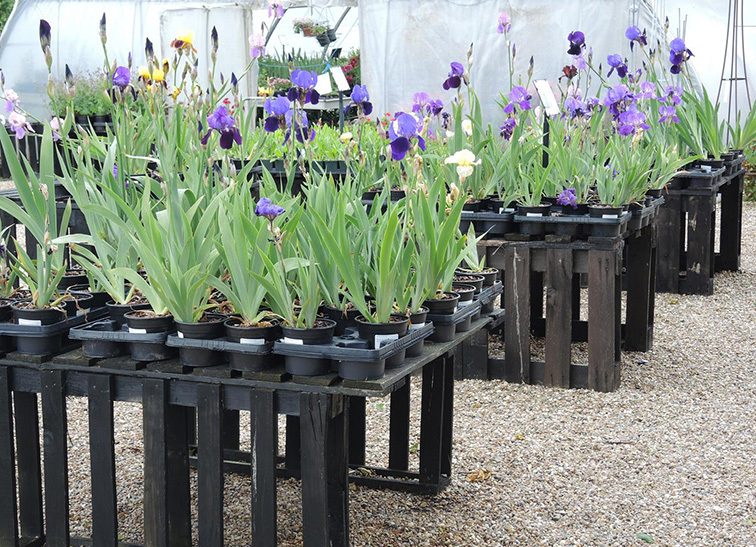 Here is a wonderful display of bearded iris at Woottens Plants. A true harbinger of early summer and so glamorous too! Here is Iris ‘Buto’ with the yellow standards of Iris ‘Rajah’ in the background. The flowers are total showstoppers, but not for long so we tend to use them in larger gardens. In June, I LOVE to visit Wootten’s 2 acre iris fields to breath in and savour the gloriously gentle perfume of these sumptuous, velvety flowers. The fields are to the public now until 16th June and people travel for miles to see them. Seize the opportunity if you can!